A post-mortem last night confirmed that the cause of of 15-year-old Allison’s death was strangulation. THE 38-YEAR-OLD MAN whose body was found in an apartment in Newry, Co Down on Thursday has been named as Russell Steele, who’s originally from Scotland. 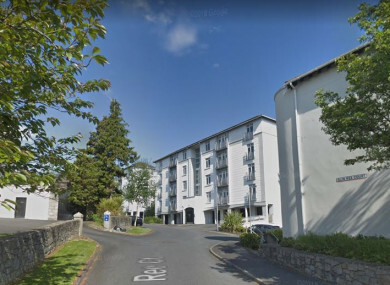 The bodies of a woman and a teenage girl were also found in the apartment on Glin Ree Court, in what’s being treated as a suspected murder-suicide. Yesterday, the PSNI named the 37-year-old woman as Giselle Marimon-Herrera and 15 year old teenager as Allison Marimon-Herrera. A post-mortem last night confirmed that the cause of 15-year-old Allison’s death was strangulation. Although the post-mortem results are not definitive for Giselle, detectives believe there is “a strong possibility” she too was strangled. Steele, who the PSNI said is believed to have been Giselle’s partner, died by hanging. Police said on Thursday that they were “not looking for anyone else” in connection with the deaths. Detective Superintendent Jason Murphy had appealed to anyone who came in direct contact with either Giselle or Allison, or who communicated with them via text or social media since last Friday to contact police in Newry. “My thoughts today are very much with their families and friends who are trying to come to terms with their loss,” he said in an earlier statement. Giselle was from Colombia and arrived in Northern Ireland around four years ago. Allison was born in Spain and has lived in the North since 2017. She attended Newry High School. Email “Man (38) who died in suspected murder-suicide named as Russell Steele”. Feedback on “Man (38) who died in suspected murder-suicide named as Russell Steele”.